1. Vertical integration and an established portfolio of long-term contracts: One of the key principles of Gazprom is reinforcement of vertical integration. Based on the vertical integration principle Gazprom aims to develop the oil sector by increasing the annual oil production to 80 million tons by 2020.Gazprom underpins European gas market through long-term contracts with oil-pegged prices and take-or-pay clauses. Gazprom signs long term contracts of up to 25 years with Central and Western European countries to export gas. The intergovernmental agreements are vital for stable and sustainable supply of gas. Long term contract guarantees that producers and exporters returns on multibillion investments on major gas projects. Both the exporter and the importer benefit out of long term contracts. Current portfolio of long term contracts signed by Gazprom amounts to 4 trillion cubic meters over the contract duration. 2. Focus on Technology: Gazprom has always had a futuristic view in conducting their business operations. They have constantly invested in technological innovation and development. The R&D initiative such as technology for extracting helium in East Siberian fields helps Gazprom gain a competitive advantage. Gazprom has been making efforts to develop electromagnetic sounding of oil and gas deposits. It is a technique which uses ultra-short high power pulses to explore anisotropic near wellbore area. A set of technical requirements for the hydrocarbon prospecting, exploration, and development software was developed in 2017. Gazprom has invested heavily in research to develop technologies, materials and engineering solutions for their 1000 km gas trunkline system from Bovanenkovo to Ukhta which operates in extreme climatic and geographical conditions. Gazprom has planned to use advanced knowledge-intensive technologies and equipment in constructing the Power of Siberia trunk gas pipeline. 3. Dominant Market share: Gazprom is the world’s largest producer of gas. It is responsible for 17% of world’s total production and has 18.4% of world’s natural gas reserves. As on 31 December 2017, out of the total 49.3 tcm of explored gas reserves in Russia, Gazprom group accounts for 35.4 tcm , companies outside Gazprom group accounts for 12.6 tcm and open acreage holds 1.3 tcm. 1. Sanctions of US Senate. 2. Retreat of Russian state firms from the West. 1. Exchange Rate of Russian Rubles. 1. Exchange Rate of Russian Rubles: Over the last three years, the exchange rate for Russian Rubles against US Dollar has seen a decline from 72.88 to 57.6. Any fluctuations in the exchange rate would have a significant impact on Gazprom’s operating income. On the other hand the exchange rate of Russian Rubles (RUB) against Euro (EUR) has declined from 79.70 to 68.87 over the same duration. The risk of changes in tax legislation and currency regulation would affect the operations of Gazprom. 2. Policies of European Union: With the European Union following a policy of diversifying its sources of gas supply there is always a threat of decline in exports to countries in EU. Gazprom is one of the main suppliers to the EU countries. 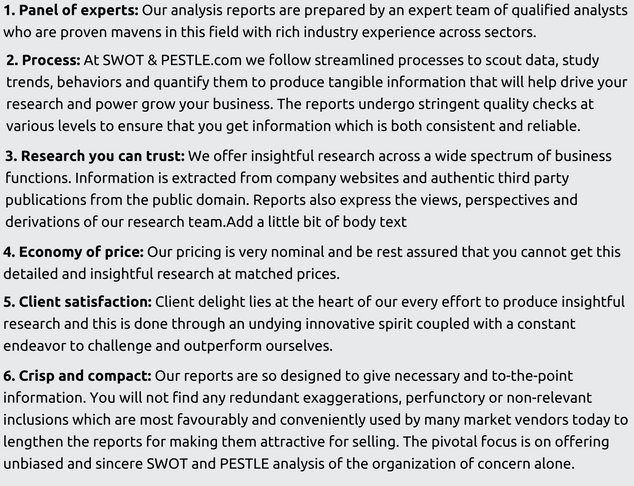 This policy might have an adverse impact on their financial performance. Gazprom has been taking initiatives to ensure that the demand for natural gas does not decrease and also to strengthen their position in potential sectors. 1. Use of Information Technology to improve field development: The Field Data and Well Control information system stores the data and information about the wells in a single database. It also enables Gazprom to design time-limited processes, optimise the production and monitor any deviations. It also helps in the estimation of well potential and identification of wells which require maintenance and repair. The “Mechfond” software system enables the handling of performance records, breakdown notifications and compilation of reliability ratings. 2. Development of Polymer Bitumen Binders (PBB): Gazprom Neft- Bitumin materials has developed an alternative to the traditional Bitumen in their own science and research facility. Bitumen is a primary material for road construction. By adding polymers and plasticizers to Bitumen they have created PBBs which possess greater warping resistance, endurance and serviceable life. 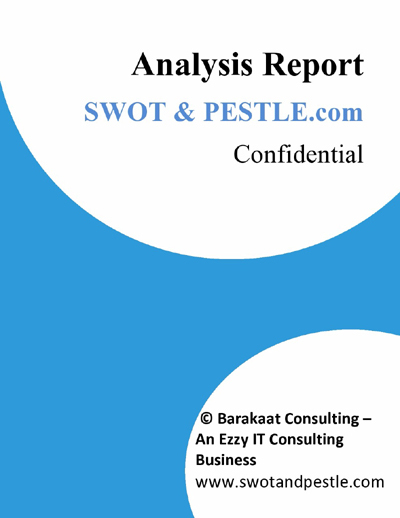 Gazprom SWOT and PESTLE analysis has been conducted and reviewed by senior analysts from Barakaat Consulting. 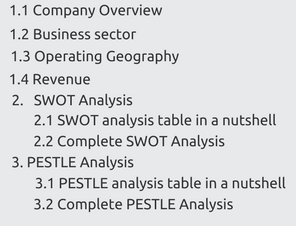 Copyright of Gazprom SWOT and PESTLE Analysis is the property of Barakaat Consulting. Please refer to the Terms and Conditions and Disclaimer for usage guidelines.